By THOMAS ERDBRINK, DAVID D. KIRKPATRICK and NILO TABRIZY JAN.
TEHRAN — At 25 percent, the interest rate paid on a savings account at the Caspian Finance and Credit Institution in Tehran was a better return than Mehrdad Asgari could earn investing in his own business renting out construction equipment. So in December 2016, he jumped at the chance, depositing $42,000 in a savings account. Before long though, Caspian stopped allowing withdrawals. After three months, it stopped paying interest. 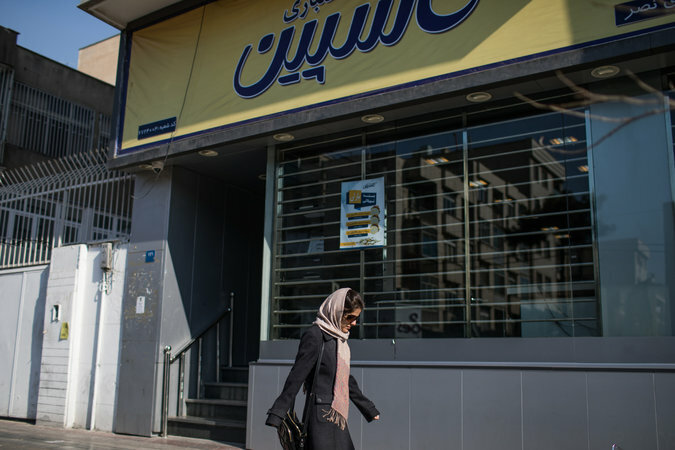 Finally, in May, it shut its doors for good — becoming one of the largest in a long series of failures of Iranian financial institutions in recent years. The closings have destroyed the savings of thousands of people, imperiled the banking system and helped fuel the antigovernment protests that roiled the country late last year. The weeklong demonstrations across Iran, centered in religiously conservative, working class towns and cities rather than Tehran, were the broadest display of discontent since the Green Movement protests in 2009, following a disputed presidential election. The outpouring of anger was directed not only at President Hassan Rouhani, who won re-election promising to revitalize the economy, but also the country’s supreme leader, Ayatollah Ali Khamenei. Thousands of people were arrested and 25 were killed, some of them, families of the victims say, at the hands of their jailers. “I got angry and swore at them,” Mr. Asgari said recently, referring to Caspian, adding that he joined other jilted depositors in demonstrations that he had learned about on social media. The cascade of defaults, economists say, was not just the result of risky banking practices, but also a case study in official corruption — a major reason Iranians found their losses so infuriating. Adding to their outrage, Iranian officials made a series of statements blaming the victims for not being more careful with their money. Many of the institutions, including those that merged in 2016 to form Caspian, were allowed to gamble with deposits or run Ponzi schemes with impunity for years, in part because they were owned by well-connected elites: religious foundations, the Islamic Revolutionary Guards Corps or other semiofficial investment funds in the Iranian state. “If there is a little less corruption, our problems will be solved,” demonstrators have chanted at protests against the financial failures. Bijan Khajehpour, an Iranian economist based in Vienna, estimated that as many as hundreds of thousands of people lost money because of the collapsing financial institutions. Iranians have a term for the growing class of victims: “property losers,” or “mal-baakhtegan” in Persian. Many of the failing institutions sank the money into speculative investments during a real estate bubble, lent to well-connected friends or charged usurious interest rates to desperate borrowers. Now, regulators have quietly steered many of the companies into mergers with larger banks to try to absorb their losses, but that has created a worsening problem of bad loans and overvalued assets throughout the banking system. Economists say that as many as 40 percent of the loans carried on the books of Iranian banks may be delinquent. 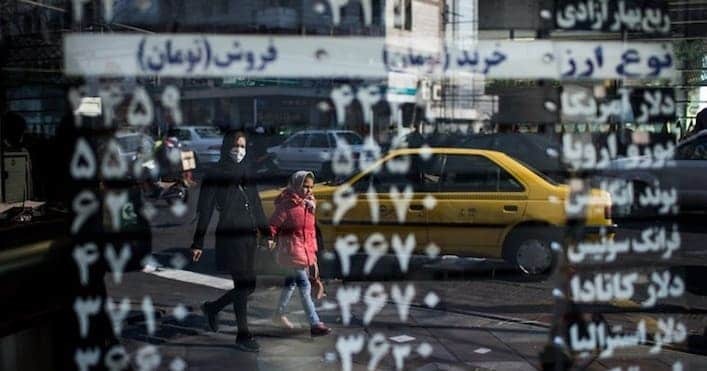 “The whole financial system in Iran is in a very fragile state,” said Borghan N. Narajabad, an economist in Washington who has studied the system. The corruption underlying the bank failures has long been an open secret. In December, a lawmaker, Mahmoud Sadeghi, released a document listing the Top 20 debtors who had failed to meet payment deadlines for Sarmayeh Bank, which is co-owned by a pension fund for teachers. The loans totaled $1.9 billion, and almost all appeared to be held by well-known insiders. 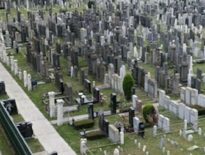 Among them was Hossein Hedayati, a business tycoon and former member of the Revolutionary Guards, whose swift rise was so conspicuous that websites speculated about the sources of his sudden wealth. The document released by the lawmaker showed that Mr. Hedayati owed $285 million, and in a television program discussing the loan, another lawmaker, Mohammad Hassannejad, accused Mr. Hedayati of using a series of front companies to swing the loans and hide his role. After the 1979 Iranian Revolution, the new Islamic Republic initially nationalized all banks, among other industries. It also created a variety of semiofficial holding companies controlled by the supreme leader, senior clerics or top military commanders. Over the years, many of the companies have evolved into sprawling conglomerates with major roles in even the ostensibly private economy. Clerics controlled religious foundations, called bonyads, that acquired commercial businesses. The largest of these, under the supreme leader, now makes up “15 to 20 percent” of the Iranian economy, according to an estimate by Hooshang Amirahmadi, an economist at Rutgers University who studies Iran. The elite Revolutionary Guard Corps controls a separate business empire. All the semiofficial holding companies have major advantages over private businesses in favorable access to capital, tax exemptions and political connections. And most or all of them have been plagued by accusations of inefficiency and mismanagement, in addition to insider dealing and other forms of corruption. Government reformers took steps to open up the banking business in the late 1990s and early 2000s, first by allowing religious foundations to set up loosely regulated savings and loans, ostensibly to serve the poor. The opening of private banks or the sale of shares in state banks soon followed. But under a conservative president, Mahmoud Ahmadinejad, who came to power in 2005, semiofficial bodies controlled by clerics, the Revolutionary Guards or their allies dominated the newly private financial sector. An internal study produced in 2013 showed that semiofficial state bodies owned seven of the 17 private banks. 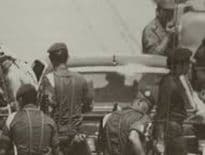 Among them, the Revolutionary Guards controlled at least two, while the army, the police, the municipality of Tehran and a giant religious foundation close to the Guards controlled the others. Among those financial institutions not directly controlled by these semiofficial bodies, the largest were usually run by individuals close to the same ruling elite, economists and diplomats say. They say that made it almost impossible for even the best-intentioned regulators to police the banks. The outsize returns promised by the banks and financial institutions lured capital that might better have gone to more productive uses, contributing to an economic downturn brought on, in part, by international sanctions imposed because of Iran’s nuclear program. Economists say that helps explain why most sectors of the Iranian economy outside the oil industry have yet to reap the benefits of the sanctions’ repeal after the nuclear deal with the West. The Caspian Finance and Credit Institution in Tehran was closed due to bankruptcy. When lenders began to fail over the past few years, some senior Iranian officials tried to blame the borrowers, noting that many of the institutions were not officially licensed or guaranteed by the Central Bank. Mohammad Bagher Olfat, a Muslim cleric who is deputy chief of the judiciary, said that jilted depositors shared the blame with the lenders and regulators. “Yes, their money is gone, but they shouldn’t expect the state to pay for their loss,” he told the same news agency. It was not just the buyer-beware response of officials in the absence of oversight and transparency that outraged the victims. In 2016, Iranians were scandalized by leaks about the high salaries of executives at state-run companies, including $50,000 bonuses paid to eight managers of a state-owned insurance company (when an Iranian laborer might earn $200 a month). In that context, the release of a draft budget that proposed raising outlays for clerics’ pet projects and their families while eliminating the $12 a month cash subsidy provided to 30 million Iranians and raising fuel prices by 50 percent provided the spark that ignited the protests. They were upset to read about the $2 million — a 9 percent increase — that went to the son of the late Ayatollah Shahab ad-Din Muhammad Hussein Marashi Najafi to maintain his father’s library, and the $15 million provided to the grandson of Ayatollah Ruhollah Khomeini, the founder of the Islamic Republic, to publish the late leader’s works. But some Iranians had already had enough. When Mr. Asgari was told in May that Caspian was closing without repaying his $42,000, he stepped outside and checked the encrypted social media app Telegram, where he found many groups for “property losers” victimized by Caspian and others like it. Arash Tajaloo, 42, a civil engineer in Tehran, deposited a total of $414,000 with Caspian in the spring of 2016, when the institution was promising him interest payments of as much as 30 percent a year. Caspian started restricting his withdrawals after six months, offering the excuse of temporary technical problems. “They kept buying time, week after week,” he said in an interview over Telegram. A lawsuit he filed was consolidated into a class action, “given the large number of cases,” he said. He says he joined protests in front of Parliament, the presidential palace and the residence of the supreme leader, and took part in a 33-day sit-in outside the courthouse. Caspian has promised to repay him about one-eighth of his original deposits, he said, but he has yet to see any of it. “We still have not received either our deposits or the interest on them for 13 months,” he said.